I don't think I know anyone who doesn't have that opinion. Hello there, pleasure to meet you. I don't think either was better. They're literally on exactly equal levels in my book. Perks of DK1 include the minions/heroes that were more fun and original, the trap system (which wasn't ideal but less annoyingly slow and expensive than in DK2) and the variety and use of rooms. Perks of DK2 include the better streamlining of the game (imps level while digging, no more up-to-level-10-in-the-training-room, more balanced gameplay), the story, the more interesting campaign missions and the more fun skirmish matches. Alright. Fair enough, Mozared. To be honest, I actually have to agree with you on most points for both games. However, I still, personally, have to go with DKI, simply because I can play it for more than half an hour at a time. DKII, I cannot. Either it crashes, or I just get bored with the lack of originality in the Creatures (Swapping Demon Spawn for Salamanders and Dragons for Rouges? WTF!?) and rooms (Liked the idea of the Combat Pit / Casino, didn't like how they worked in practice, and missed the Scavenger Room). To each their own, however. At least it is not ridiculously long like this made up C.U.C.U.M.B.E.R. abbreviation. Again, caused by a lack of playing DK2. You don't know Swiss Cheese map? Pfft, you officially are banned from WFTO until you have this map beaten at least once. A map once all revealed to have hidden messages. 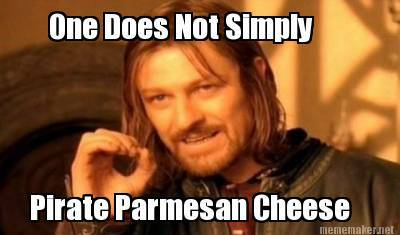 Parmesan Cheese doesn't really last long with me in this place. I suppose it's fitting it doesn't last long with me in the game. Provided my Imps aren't too busy getting themselves killed. Imps are always busy getting themselves killed. If it wasn't so bloody annoying, it would be a running gag in the series, just how suicidal the Imps are. Right now it's impossible to track imps because there's no UI, mini-map, health and color indicators. Damn, when many imps fight I can't even understand which ones are mine. I think DK2 was a better game.